Taito's popular rhythm game Groove Coaster debuts on Steam next month as well. It may be hard to believe, but Space Invaders turns 40 this year. 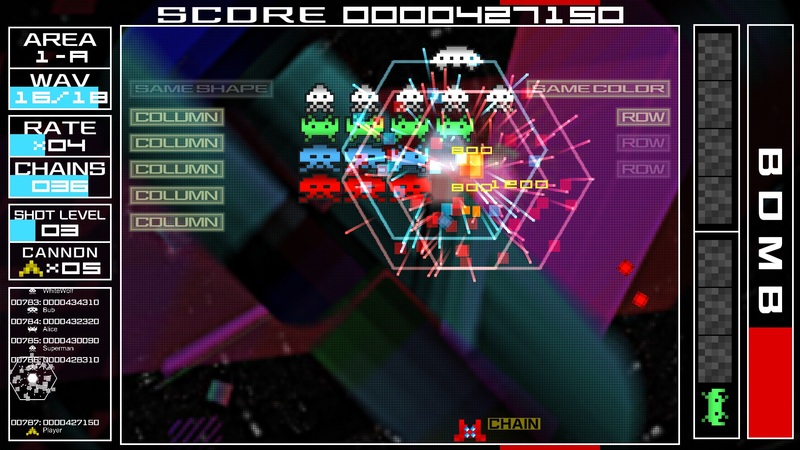 To commemorate this milestone, publisher Degica Games and developer Taito are releasing Space Invaders Extreme on Steam next month, alongside the colorful rhythm game Groove Coaster. Space Invaders got a modern makeover nearly a decade ago with the launch of Space Invaders Extreme, which was originally released to celebrate the franchise’s 30th anniversary. Now that another decade has passed, Steam users can have a go at this upgraded version of Space Invaders. Taito’s other hit mobile game series Groove Coaster is also headed to Steam in February, giving players the chance to play this popular rhythm game on PC. However, the game doesn’t seem to have a Steam store page just yet, so we’ll have to wait and see what Taito have in store regarding Groove Coaster’s price point and bundle options. On the other hand, Space Invaders Extreme does have a Steam store page, so feel free to add it to your wishlist for next month. Both Space Invaders Extreme and Groove City will invade Steam sometime in February. For more details, head over to the Taito website.